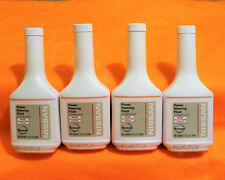 4 Bottles of OEM Nissan Power steering fluid. NISSAN PRODUCT. We have a large inventory of Genuine Honda Parts! Will include. Only For RWD Rear Wheel Drive Models. 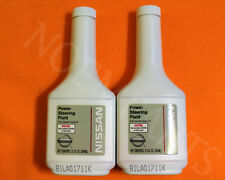 2 Bottles of OEM Nissan Power steering fluid. NISSAN PRODUCT. We have a large inventory of Genuine Honda Parts! Will include. INFINITI G35 06 w/o rear active steering. INFINITI G35 07 2 Dr (Cpe), w/o rear active steering. INFINITI G35 03-05. 350Z 03-05. This is a power steering pump that will fit the following We are an Auto Salvage. 2017 Infiniti Q50 Base, Hybrid Premium, Premium, Red Sport, Sport 2.0L L4 - Gas, 3.0L V6 - Gas, 3.5L V6 - Electric/Gas. 2016 Infiniti Q50 Base, Hybrid Premium, Premium, Red Sport, Sport 2.0L L4 - Gas, 3.0L V6 - Gas, 3.5L V6 - Electric/Gas. Model: INFINITI M35 SEDAN. 2008 Infiniti M35 Base, X 3.5L V6 - Gas. 2007 Infiniti M35 Base, Sport, X 3.5L V6 - Gas. 2006 Infiniti M35 Base, Sport, X 3.5L V6 - Gas. Year: 2008. Part Grade Abbreviations. G35 2005-2007 Sport 6 Cyl 3.5L VQ35DE. -Life is life and issues arise; people make mistakes. This is an OEM power steering pump for 2009-2015 Infiniti G37, Q40 and Q60. No labor warranty is provided. This is the power steering pump out of an 09 G37x coupe. Make: Infiniti. Body Type: Coupe. Part Type: Power Steering Pump. These parts are left on the main part to aid in the installation process, but are not covered in your warranty. 2017 Infiniti QX50 Base 3.7L V6 - Gas. 2016 Infiniti QX50 Base 3.7L V6 - Gas. Model: INFINITI EX35 SUV. 2013 Infiniti G37 X 3.7L V6 - Gas. 2015 Infiniti Q40 Base 3.7L V6 - Gas. Body Part Grading. Local pickup options are also available. 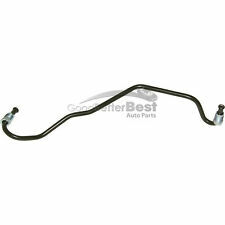 This Listing Contains: 1 x 497211W900 - Genuine Nissan and Infiniti - Power Steering Return Hose New - Genuine Nissan & Infiniti 49721 1W900 / 497211W900 P/S Power Steering Return Hose. 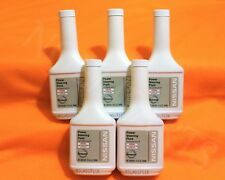 3 Bottles of OEM Nissan Power steering fluid. NISSAN PRODUCT. We have a large inventory of Genuine Honda Parts! Will include. 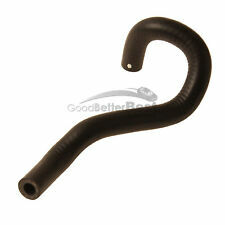 Pipe to Gear New - Genuine Infiniti 49725 AM800 / 49725AM800 Power Steering Return Hose. It is in good condition. Model: M37 RWD. Make: Infiniti. Mileage: 154,875. Infiniti G20 1999. QX4 1997-2000. Infiniti Power Steering Pump 10 Piece Seal Kit. This kit is an affordablesolution to a common problem. NISSAN PRODUCT. We have a large inventory of Genuine Honda Parts! Model: G37x AWD. Make: Infiniti. Year: 2009. Pick up at our facilities is available. WILL FIT: 2009-2014 INFINITI G37. 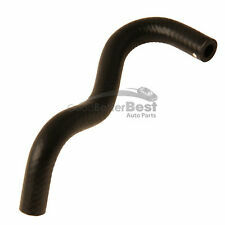 UP FOR SALE IS A USED POWER STEERING HOSES LINES FROM 2012 G37 COUPE. Used power steering pump off of a 2008 Infiniti G35. OEM Tested to work, in good condition. Please check your part numbers before buying. Satisfaction Guaranteed!! 30 Day Warranty Should fit: INFINITI EX35 08-12 INFINITI EX37 13 INFINITI G35 07 4 Dr (Sdn), w/o rear active steering INFINITI G35 08 (4 Dr, Sdn), w/o rear active steering INFINITI G37 08-13 w/o rear active steering INFINITI M35 09-10 INFINITI M37 11-13 RWD, w/o rear active steering INFINITI Q40 15 INFINITI Q50 14-15 3.7L INFINITI Q60 14-15 w/o rear active steering INFINITI Q70 14-17 3.7L, RWD INFINITI QX50 14-17 Email us for more info. 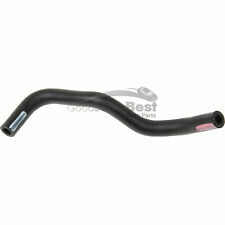 A Solutions Auto Parts We have many parts for 350Z, G35, G37, 370Z and other makes. Model: INFINITI Q50 SEDAN. 2015 Infiniti Q50 Base, Premium, Sport 3.7L V6 - Gas. 2014 Infiniti Q50 Base, Premium, Sport 3.7L V6 - Gas. Year: 2014. IMPORTANT NOTES: HYDRAULIC, 2014-15, AWD. Rear Active Steering: No. LKQ SKU: LKQ390 ~148891682 SPM59043. This is NOT a manufacturer part number, and can be disregarded. We do our best to prevent these issues from happening and apologize for any inconvenience it may cause. The pulley is included unless it states "- pulley" below. No reservoir included. INFINITI QX56 2004 -2010. There may be differences between the engine size or steering options. Our goal is to eliminate any surprises upon arrival. 2015 INFINITI. However, if you encounter any issue with one of our products. 78224089 JK000. UP FOR SALE IS A 2007 INFINITI M35 POWER STEERING PUMP WITHOUT REAR STEER OEM. We are always willing to work out any problems. Warranty on electronic devices is void if identifying mark is removed or has sign of tampering. Part/Notes: POWER STEERING PUMP -. -Life is life and issues arise; people make mistakes. 2002 - 2004 Infiniti I35 Sedan. This hose connects from the power steering pump to the hardline that leads to the power steering rack. This also includes the pressure sensor on the hose. Even though genuine Infiniti parts are designed to last, there are cases that an item can fall short of expectations and can fail.